For children dolls can represent many different experiences in life, from scared or happy to Mother or Father. They can be an opportunity to safely explore many parts of the world that surround them, inside and out. 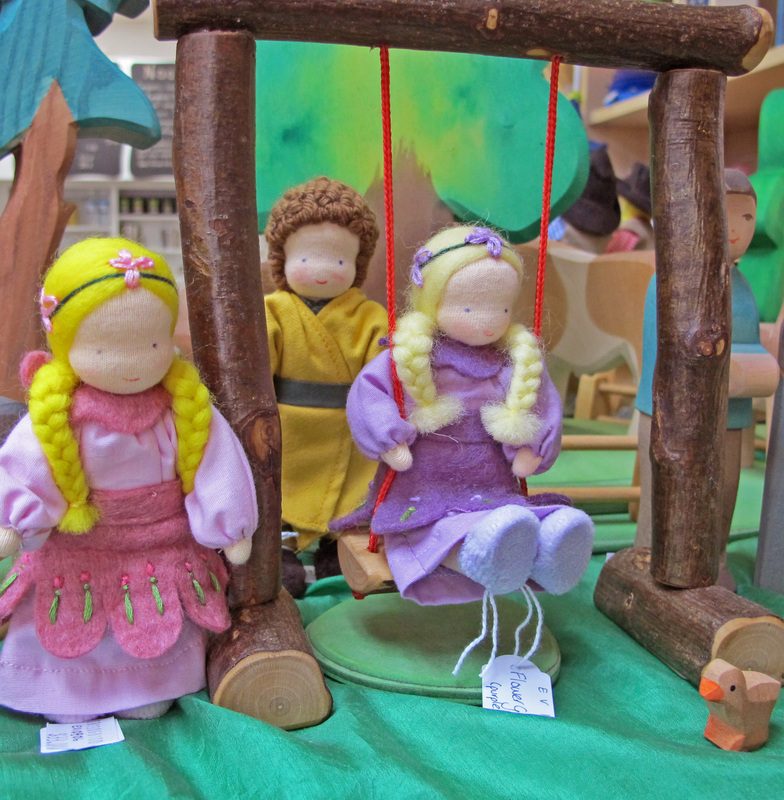 Our dolls are made from natural materials (cotton & wool) and so they are soft like us. See our new DOLL page (under products) for the beautiful handmade dolls we stock in our shop. Come and see The Honeyclock at Silver Tree Steiner School’s Spring Fair & Open Day tomorrow from 10 – 3. We have just packed up some of the shop and will be bringing a large selection of our books, wooden people and wheeled toys, puzzles and games, dolls, a selection of our Sphagni range and bath milks and a sprinkling of Christmas goodies for early birds including our beautiful advent calendars. Experience Silver Tree’s beautiful school, set in bush surroundings, visit open classrooms and chat about Waldorf education. Enjoy community stalls with high quality crafts, books, clothing & gifts, garden art & photography exhibits. Storytelling & entertainment. Enjoy home made food, cafe-style coffee, tea & cake.